We all love to get presents during the holidays, and for a lot of us, it’s also a time to splurge on ourselves a little. But you know what’s also great? Doing something to give back. There are a lot of folks, sadly, who will be struggling this holiday season. and in the spirit of cheer and goodwill, consider making their lives a little easier as the nights grow longer and darker. 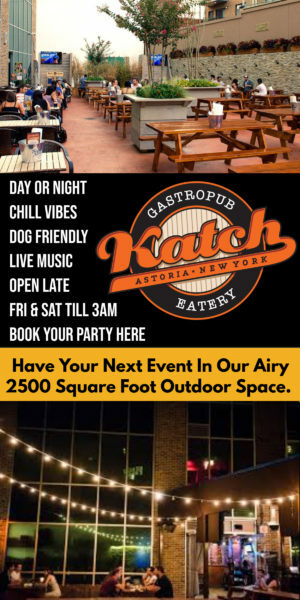 Below is a roundup of all the charitable events taking place in Astoria and LIC this season, and a lot of them have something in it for you, too! SingleCut is hosting the Biannual Solstice Sock Drive on December 7. Bring a pair of socks to donate to a needy New Yorker, and your first beer is free. Yes, there is a limit of one free beer per person, but feel free to bring as many socks as you want. You’ll be doing someone a huge favor this winter. From now until November 30, you can drop off canned goods at any Queens Library location. They’re only asking for canned foods at this time (no dry goods, please), and will have collection boxes at all locations. The library has partnered with Food Bank for New York City, and their goal is to collect 3,000 pounds of food to distribute to soup kitchens, shelters, and other programs to help New Yorkers in need. Find your closest branch to donate. 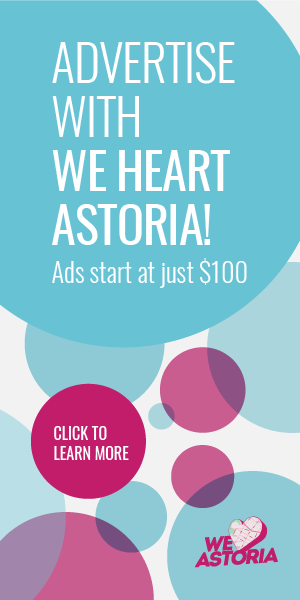 Ladies First Astoria, a community network of local professional women, is hosting a supply drive in three parts. Part 1 is itself a three-part drive collecting non-perishable foods, toiletries, and clothes. According to their Instagram post, there will be drop spots for supplies along the major Avenues in Astoria. 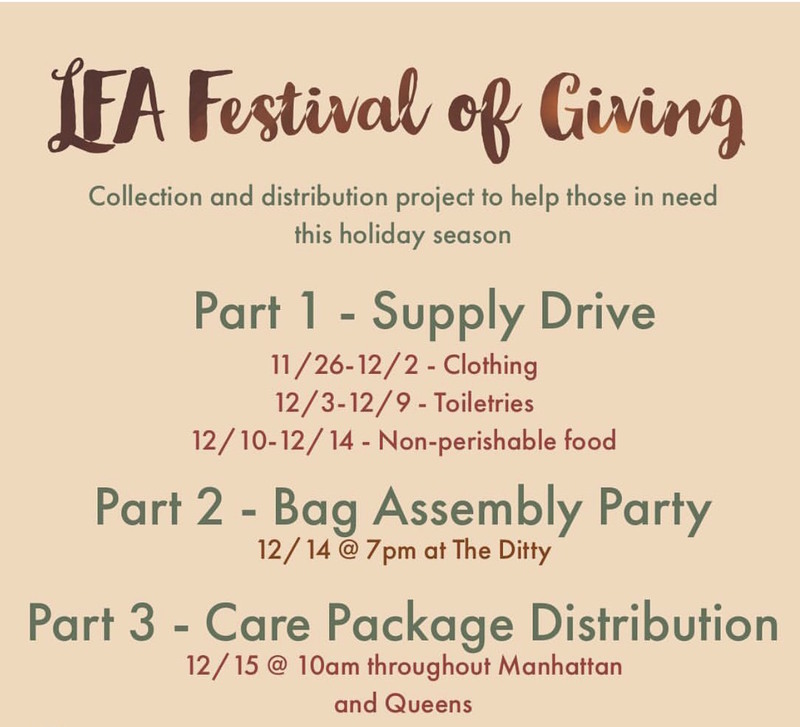 The goods will then be packaged at the Ditty to make them easy to distribute, and then finally, on Saturday, December 15, the packages will be distributed in Queens and Manhattan. More details will be forthcoming, but feel free to reach out with questions! Starting Monday, November 26, Lockwood Style is hosting a coat drive. Bring in a gently used coat or jacket to their New York Cares coat drop, and you’ll get 20% off any jacket or coat in the store. The coats will be donated to New Yorkers in need of some extra warmth this winter, and the coat drive will continue through the holidays. QED | 27-16 23rd Ave.
Reflexions Dance & Fitness | 18-54 43rd St.
Astoria Coffee | 30-04 30th St.
Green Desk | 34-18 Northern Blvd. 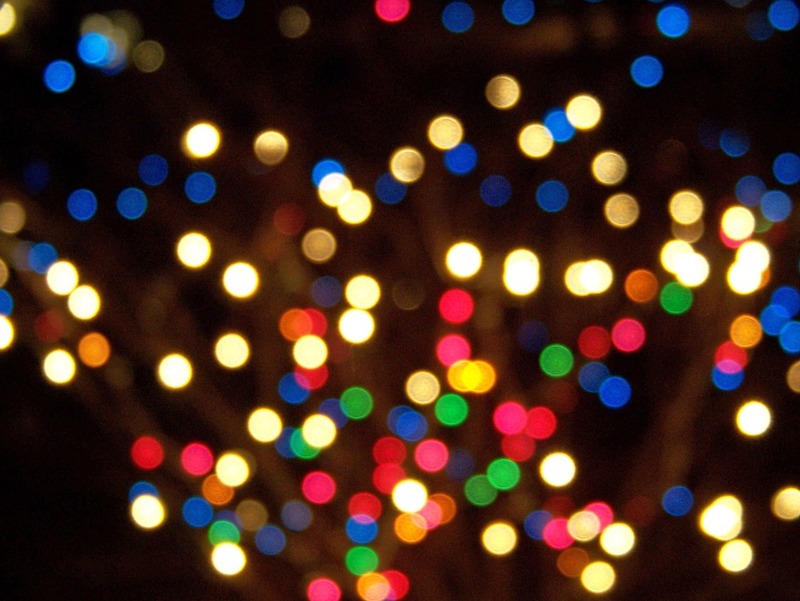 Have any other ways to give back and make the world a little brighter this holiday season? Let us know what you’re doing in the comments! No act of kindness is ever too small.